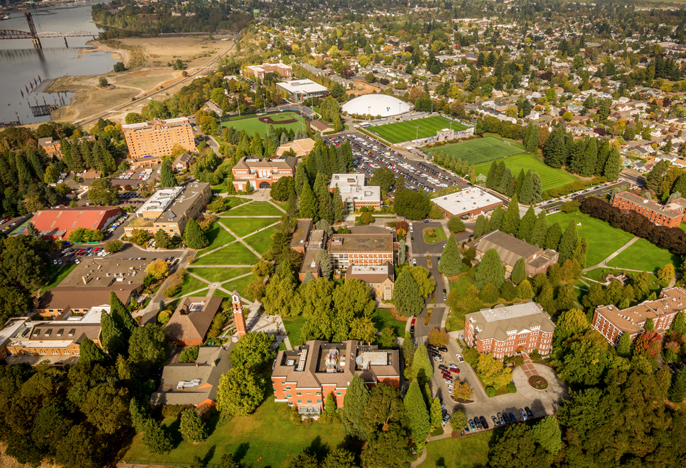 Home to the University of Portland campus, the University Park neighborhood has a lot to offer. You'll find room to play Frisbee, softball, or kickball in Portsmouth Park, while at Columbia Park and Annex, you'll find room the play as well as picnic tables and shelter and an indoor swimming pool. Restaurant options include Flying Pie Pizzeria, The Fishwife, and Darcy's, or stop by Cathedral Coffee for a study break. You can take care of your grocery needs at New Seasons Market University Park. UP is located within the University Park neighborhood so it is easy to explore on foot or by bike. This map shows the University's neighborhood home.